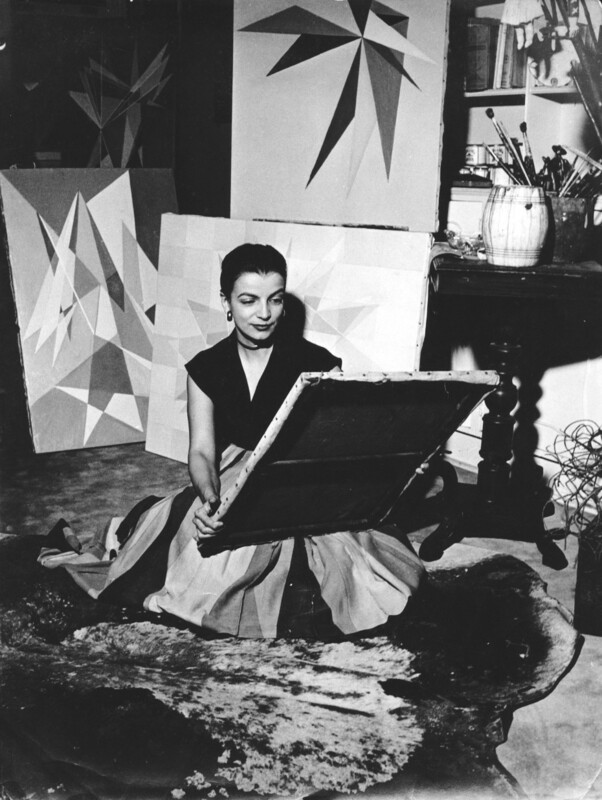 Lygia Clark (b. Belo Horizonte, Brazil, 1920; d. Rio de Janeiro, Brazil, 1988) is one of the most pioneering artists of the twentieth century. Clark's groundbreaking work radically innovated the relationship between the art object and audience and became a reference point for generations of artists pushing the limits of sculpture and performance today. Significant exhibitions during her lifetime included the early São Paulo Biennials (1953-1967), the Second Pilot Show of Kinetic Work, curated by Guy Brett at the Signals Gallery, London in 1962; and a presentation at the Venice Biennale in 1968. Following Clark's death in 1988, she was the subject of the following solo museum shows: Lygia Clark: The Abandonment of Art 1948-1988, curated by Connie Butler and Luis Pérez-Oramas, The Museum of Modern Art, New York (2014); Lygia Clark: Organic Planes, curated by Lisa Le Feuvre, The Henry Moore Institute, Leeds (2014); Fantastic Architecture, The Henry Moore Foundation, Leeds (2014); Lygia Clark, Fundació Antoni Tàpies, Barcelona (1997), travelled to MAC, Marseille; Serralves Foundation, Porto; Palais des Beaux-Arts, Brussels and the Imperial Palace, Rio de Janeiro. Clark was more recently included in Radical Women: Latin American Art, Brooklyn Museum, New York (2018) and the Hammer Museum, Los Angeles (2017), Making Art Concrete: Works from Argentina and Brazil in the Colección Patricia Phelps de Cisneros, J. Paul Getty Museum, Los Angeles (2017); The Other Transatlantic, MoMA Warsaw, MMK Musuem fur Moderne Kunst, Frankfurt (2017); Being Modern: MoMA in Paris, 1929-2017, Louis Vuitton Foundation, Paris (2017); Modern Art and St Ives, Tate St Ives (2017); The Shadow of Color, curated by Rita Kersting, The Israel Museum, Jerusalem (2016/2017); Making and Unmaking, curated by Duro Olowu, Camden Arts Centre, London (2016); Life Itself, curated by Daniel Birnbaum, Moderna Museet, Stockholm (2016); Adventures of the Black Square, Abstract Art and Society 1915-2015, curated by Iwona Blazwick and Magnus Petersens, Whitechapel Art Gallery, London (2015).